As of 2018, 96-year-old self-taught conservationist Alfred Larson has dedicated the last 40 years of his life to save North American bluebird populations. 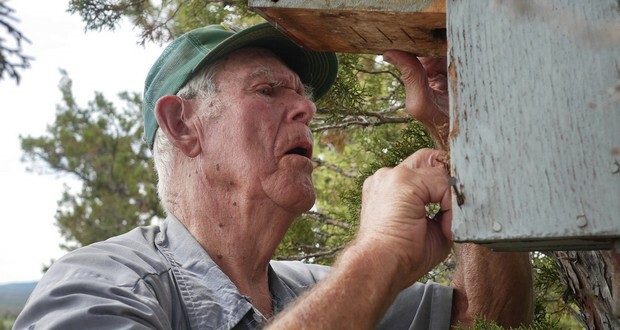 He has built and monitored 350 nest boxes all across southeast Idaho. Due to his conservation efforts, bluebird populations have significantly rebounded. 2. A 74-year-old Japanese man dressed as a ninja and possessing great physical ability, carried out 254 break-ins worth $260,000 before he was caught by police in 2017. 3. In high school with his imposing physique and creepy mustache, most of Dwayne “the Rock” Johnson’s classmates thought he was an undercover cop. 4. An alcoholic court stenographer named Daniel Kochanski in Manhattan repeatedly typed "I hate my job", instead of documenting speech during cases. 5. There is a diver named Hiroyuki Arakawa who has been visiting the same fish for almost 30 years. It comes to him whenever he dives in the ocean. 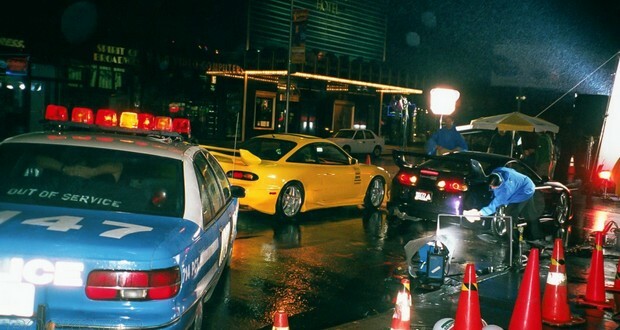 The Midnight Club was a secret street racing team in Tokyo, bound by a strict moral code that put pedestrian/motorist safety first. The club disbanded in 1999 when a race turned accident killed innocent drivers. 7. There was a girl nicknamed Sober Sue, who was offered work at a theatre that would offer $1,000 to anyone that could make her laugh. All summer people tried to make her laugh, even professional comedians came onto the show, none of whom were successful. She never laughed because she had facial paralysis. 8. A Japanese warrior named Saitō Musashibō Benkei is said to have killed in excess of 300 trained soldiers by himself while defending a bridge. He was so fierce in close quarters that his enemies were forced to kill him with a volley of arrows. He died standing upright. 9. The German military manual states that a military order is not binding if it is not "of any use for service," or cannot reasonably be executed. Soldiers must not obey unconditionally, the government wrote in 2007, but carry out "an obedience which is thinking." 10. In January 2019, 5 teenagers died after a fire in escape rooms in Poland. Poland’s interior minister then ordered fire safety inspections at more than 1,000 escape room locations across the country. Previously, there was no official requirement for fire safety certificates at such locations. 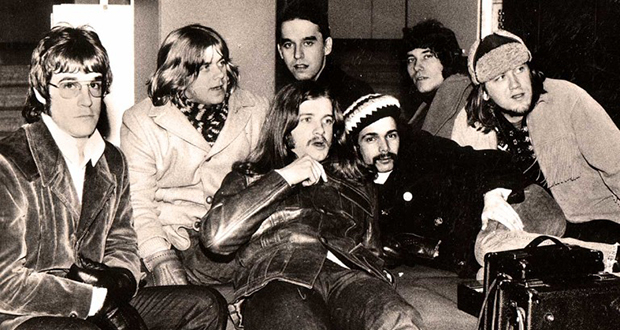 The band Chicago was so fond of cocaine that during a tour in the 1970s, they put a fake phone booth on stage called the "Snortitorium", so that they could do lines mid-concert without going backstage. 12. Slave Bible was an abridged version of the bible that was made for slaves. In it the enslaved Israelites never left Egypt and lines that condemn slave owners were removed. Most of the Old Testament was missing, and only about half of the New Testament remained. 13. A chimp named Ham, originally from Cameroon was sent into space and recovered alive in a test to ensure that a human being could survive space flight and perform useful functions outside Earth's atmosphere. He died at the age of 25 and is buried at the International Space Hall of Fame in New Mexico. 14. Steve McQueen was supposed to attend the dinner party where the Manson family murdered Sharon Tate and others, but skipped it after he "ran into a chickie and decided to go off with her instead." 15. Iwao Takamoto, the artist who made Scooby-Doo found desirable traits that you’d look for in a top-level show dog and drew Scooby-Doo to represent the opposite. 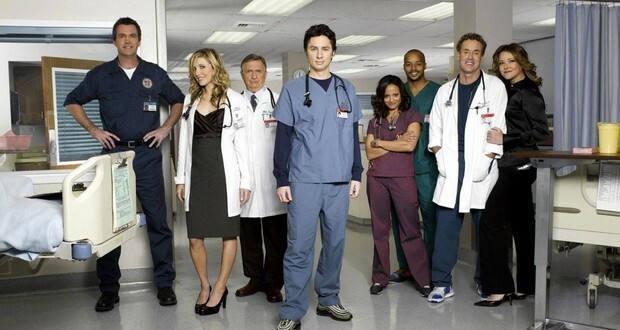 TV series Scrubs was filmed at a decommissioned hospital and people often showed up seeking medical care thinking it was a real hospital. 17. President John F. Kennedy wanted to put a man on Mars, not the Moon – but engineers told him it was 'a little bit too far'. NASA told him it would take at least 15 years before we could put a man on the Moon after a weekend of intense calculations. 18. Brian May, the lead guitarist for Queen is also an astrophysicist. He dislikes smoking so much that he prohibited smoking indoors at concerts before smoking bans became the norm. His dislike for smoking was due to his father’s heavy cigarette use. 19. Chicago's Field Museum has 10 colonies of flesh-eating beetles who live and work at the museum, cleaning animal bones for display. 20. The Wait Calculation suggests that we should not do interstellar travel if we can't get to our destination within 50 years because if the current civilization still can advance in propulsion system velocity, a future mission will pass the previous one and get there faster. 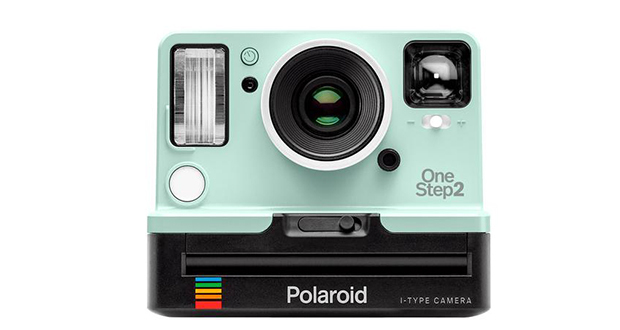 Polaroid cameras don't have batteries. They instead have an individual battery in each cartridge to power the camera enough to take the required shots. 22. 37% of all registered Steam games have never been played. This equates to 288 million of the 781 million games registered, are left untouched. 23. Wheelchair athletes with spinal injuries will sometimes intentionally injure themselves on the lower body (e.g. break a toe), causing their bodies to respond by raising blood pressure and enhancing their performance. This practice has been banned as cheating. 24. Deep-Sea Gigantism is the tendency for species to be larger than their shallower-water relatives. Proposed explanations include scarcer resources; greater pressure; and colder temperatures. 25. A French weightlifter named Charles Rigoulot was jailed for hitting a Nazi guard but broke out of his jail cell by bending the bars. He allowed other prisoners to escape as well. He then beat the guard who jailed him.